The Sarajevo National Theatre (Bosnian and Serbian: Narodno pozorište Sarajevo, Croatian: Narodno kazalište Sarajevo) was founded in November 1921. The opening ceremony was led by Branislav Nusic, then Head of the Art Department of the Ministry of Education. On November 9, 1946 Sarajevo Opera House commenced its artistic activity with the premiere of B. Smetana's “The Bartered Bride”. Sarajevo Ballet was also founded in 1946, but its first independent performance “The Harvest” by B. Papandopulo was postponed until May 25, 1950. This performance marked the beginning of its professional development within the national Theater. 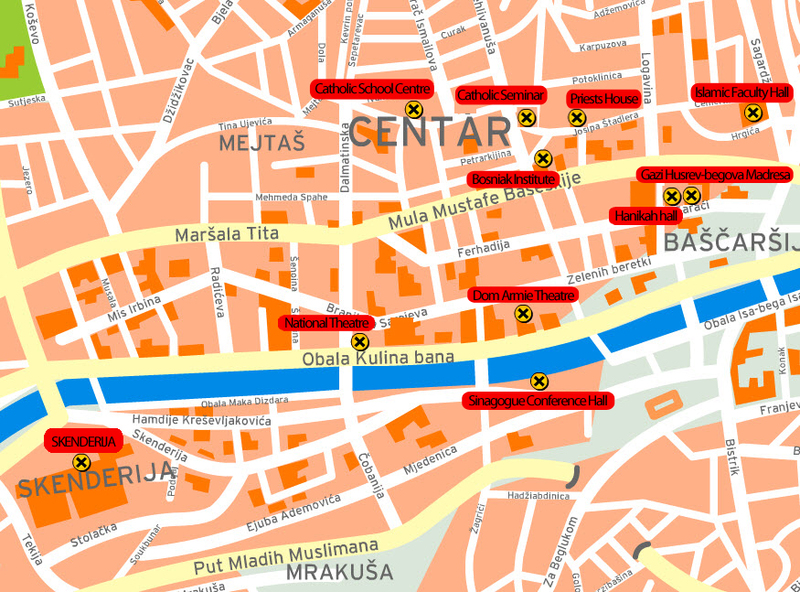 The building was designed by architect Karel Parik, who designed over 160 Sarajevo buildings.